Definition (PSY) Process of focusing an image on the retina by means of a flattening or bulging of the lens. Definition (CSP) adjustment of the lens of the eye for various distances. 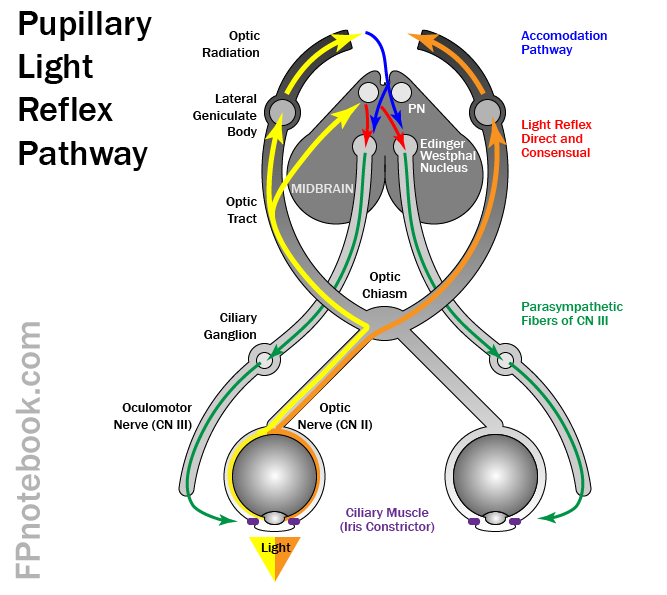 Definition (MSH) Pupillary constriction. 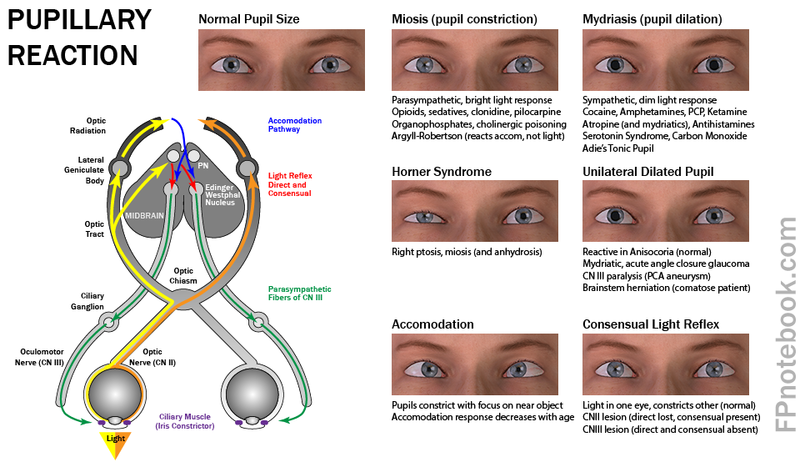 This may result from congenital absence of the dilatator pupillary muscle, defective sympathetic innervation, or irritation of the CONJUNCTIVA or CORNEA. This page was written by Scott Moses, MD, last revised on 2/12/2019 and last published on 4/6/2019.